Just a year and a half after entering the market, United Airlines will end daily service between Newark, New Jersey and San Jose, California. The route has not performed as hoped for. In March 2017, I wrote about United’s return to San Jose, CA with new service from Chicago and Newark. 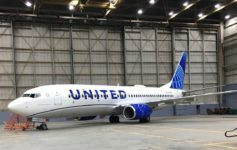 While the Chicago service will remain, the once-daily 166-seat Boeing 737-800 just could not cut it on the transcon route. Service will end on October 26, 2018. United officially blames the route reduction on soft demand. But remember that United is shifting strategies at Newark, de-emphasizing EWR as a connecting airport and focusing on local traffic. That may have also played a role in this route reduction. United battled Alaska head-to-head on this route and it appears the Seattle-based carrier can claim victory. Alaska has since added a nonstop flight to New York JFK as well. Delta and JetBlue also now serve San Jose from New York JFK. There was simply too much competition and United was the odd man out. I was loving this flight, and flying it tomorrow! The P fares were reasonable as well. My Thanksgiving and Christmas flights got canceled and rerouted via den. I called up and got moved to SFO-EWR. I’ll definitely be giving more business to Delta and Alaska now. United seems to be a very week competitor. Congrats to Alaska now they are the only airline flying SJC-EWR. And DL, B6 & AS serving SJC-JFK let’s see if either Jetblue or Delta will give up. It annoys me no end that United dropped SJC-LAX. Having to drive up to SFO to fly the route stinks. In fact, it looks like in October I’m going to use Southwest to do SJC-LAX which I’m loathe to do because I’m tossing points away on an airline I avoid flying like the plague. But there are logistical reasons for me needing to arrive back at SJC and not SFO this time.